The McScribble Salon: A New Portrait of the Brontë Sisters? 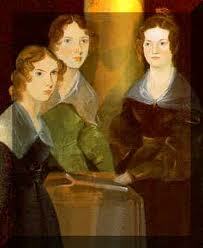 This portrait that Branwell painted of his three sisters is the only known depiction of the three women, so far. A Northamptonshire auction house is about to put a new painting (seen below) under the hammer. 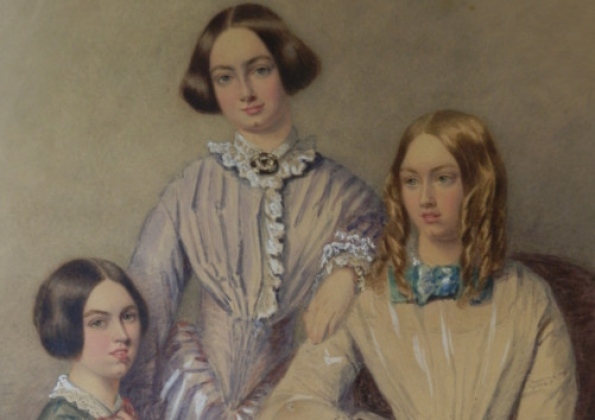 But is it really the famous Brontë Sisters? The most striking feature is the cleft chin all three figures share. This feature appears to be missing in Branwell's painting.